is now for sale. 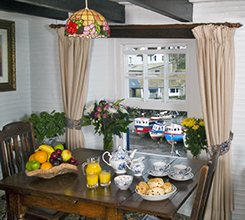 For more information please call Fiona or Martin on 01720 423000 This gorgeous 5 star quality fisherman's cottage sits on Polperro's outer harbour wall and over the beach. Watch from all your 6 windows, the fishermen landing their catches or preparing for sea, as they have done for 100s of years. Private Parking nearby. 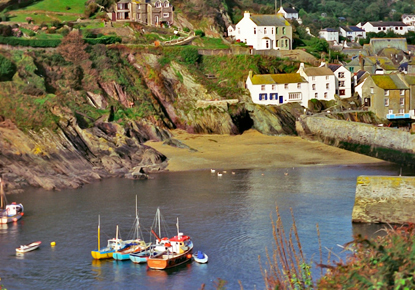 Now, one of Cornwall's most popular self catering holiday cottages. It has a large drawing room on the middle floor, with low timber beams, a log fire and formal dining area. 3 bedrooms sleeping 5/6, a bathroom and an en-suite shower room. During winter storms, image being on the Eddystone Lighthouse, the sea breaking on the rocks below all your windows. You have a lovely BBQ terrace. You are very welcome to bring your pets. Lovely walks along the coastal footpaths to pet friendly coves.